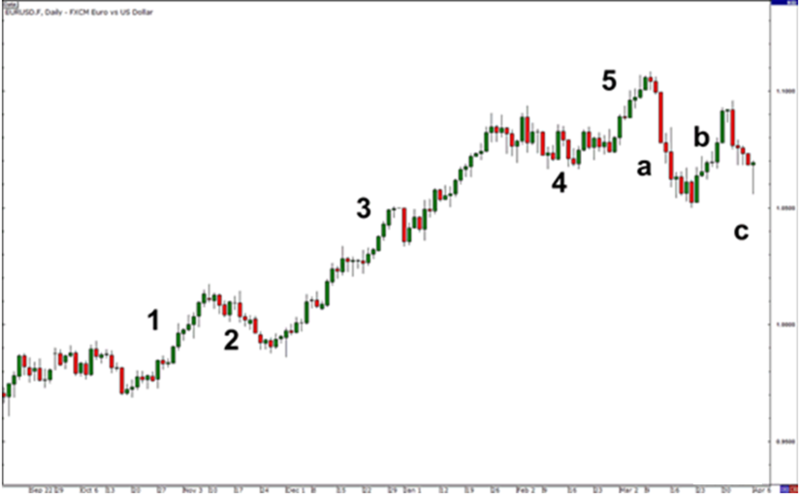 Elliott stated that the market is moving in a trend will have a wave pattern, which he calls with a wave pattern 5-3. Where wave 5 (first phase) will be followed by a wave 3 to the next phase. Let us discuss one by one Wave Pattern 5-3 Wave 5 wave pattern called Impulse (Impulse Wave), this wave is divided into 5 wave model and mentioned each with numbers and sequence. 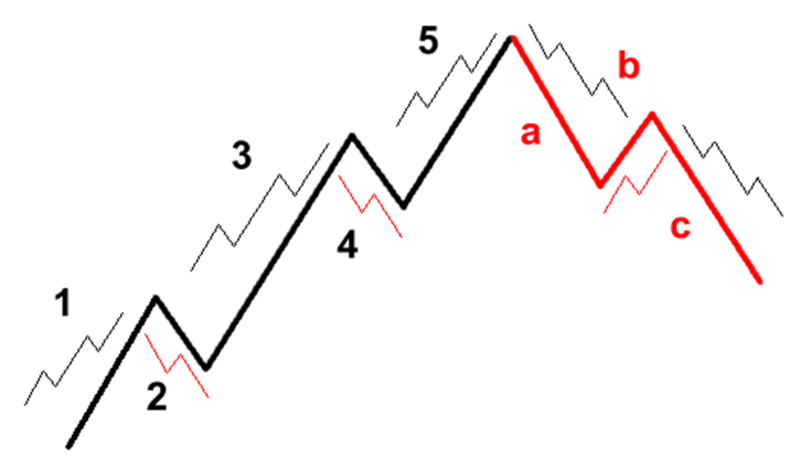 1,3,5 wave called a motif that usually represents the direction of the trend as a whole, and 2.4 is the correction wave. The meaning of each wave: Wave 1: Price made ​​a motion early on. This is usually caused by a small number of people (for various reasons, whether real or imagined) feel that the price is cheap, so this is a great time to buy. This causes prices to rise. Wave 2: At this point, quite a lot of people who originally was in the original wave (rising) consider the price was too high and take profits. Cause the price moves down. Wave 3: This wave is usually the longest and strongest. In this phase the stock has attracted much public attention. Result in increasingly inflated prices, usually the price will soar higher than at the time of wave 1. 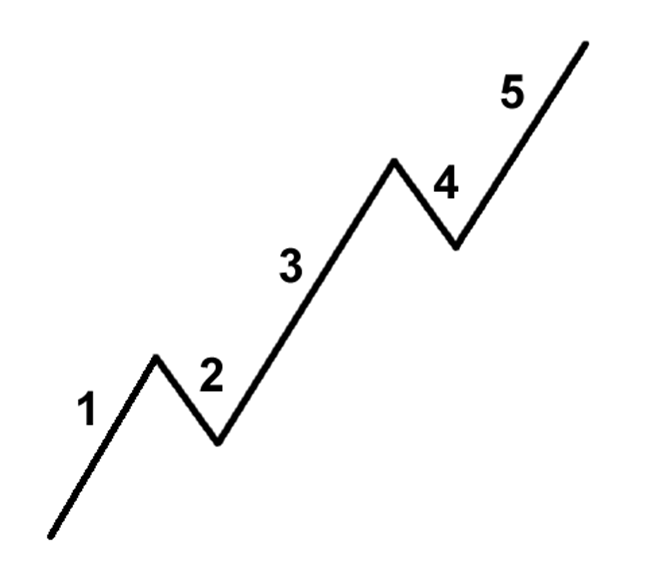 Wave 4: In this phase some people took profits, and felt the price was expensive. But there are some people who still feel that price is still in the uptrend (bullish), so these waves are likely to remain weak. Wave 5: This is the phase where the price was too high to be collected / purchased, and power who could make the price continues to rise is due to mere hysteria. Please note that the length of the wave masing2 not always exactly according to the comparison only in pictures, can be longer or shorter, it is natural. 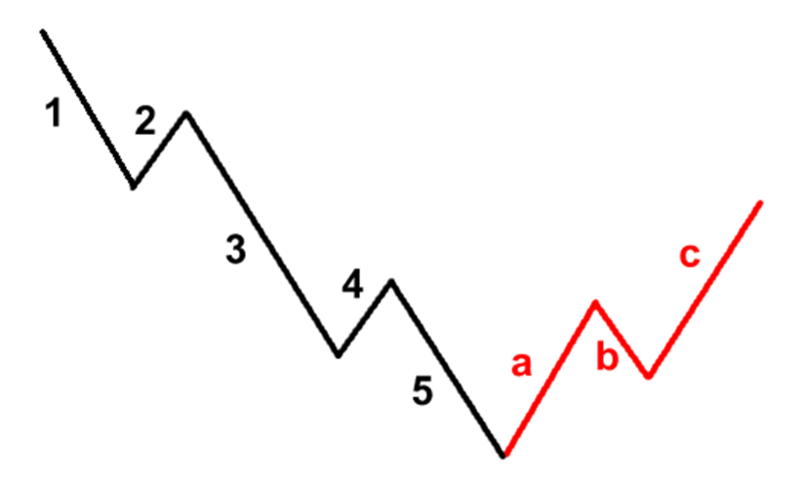 ABC Correction Furthermore, Elliot describes the wave pattern 5 above will be followed by wave 3, the pattern of the ABC correction. See the picture below bullish setups of elliott wave. 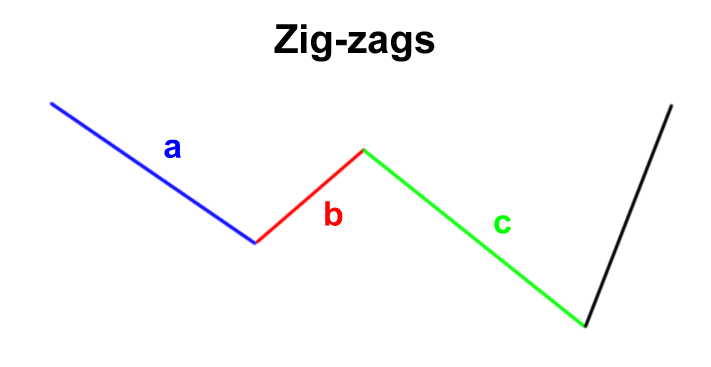 Zig-zag formation to move very sharply in price as opposed to the dominant trend. Wave B is usually shorter than the waves A and C. Zig-zag pattern can occur twice or even three times in a correction phase. Flat formation shaped like a wave moving to the side, the length of each wave in general is the same. Length difference is usually not too big. This formation is moving against the trend and consists of 5 waves move toward the side. 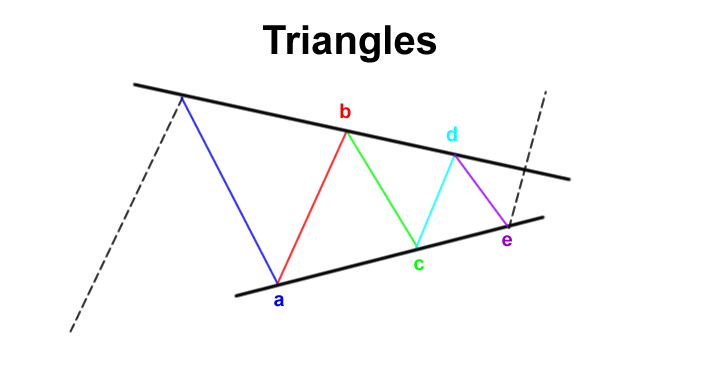 While the dimensions of the slope can be decreased, narrowing or expanding. From the picture we can see that the wave 1 3 5, there are 5 patterns, and from wave 2 4, there are corrective pattern ABC (wave 3). From here we are much easier to understand where the intended meaning of Fractal such reply. Elliot emphasized that there is always the lesser wave of each wave, and this pattern is often repeated. 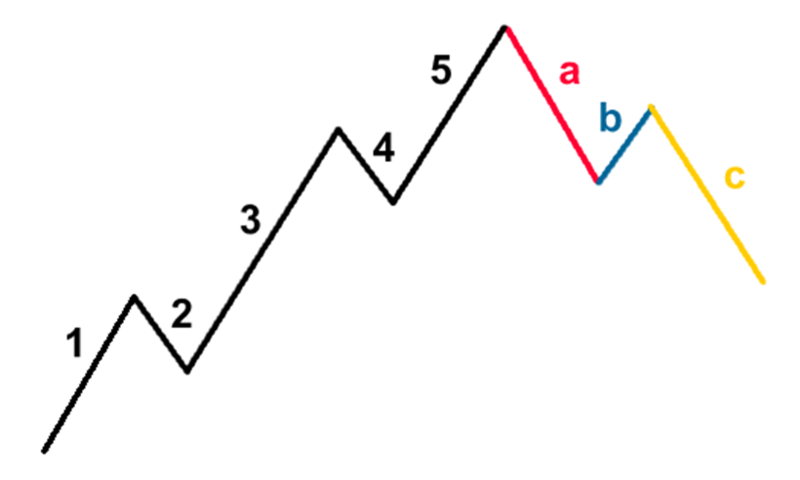 Picture above shows a complete cycle of elliot wave, namely the pattern of 5-3, followed by ABC corrective pattern. It is seen that there is a wave which is imperfectly formed, wave 3 for example, there is little corrections in it. But yes, like that in real life. For you, who still has not been accustomed. Reading the patterns may feel very difficult. But if you practice and you’ll quickly get used to identify a valid wave patterns. 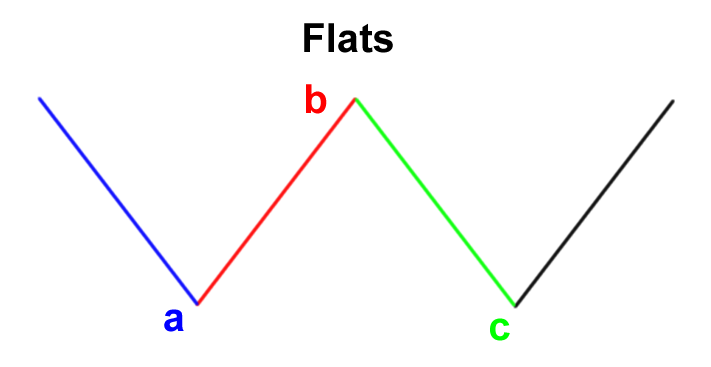 In the next article we sketch how we can use the theory of Elliott Wave in each our trading analysis.